We're building an Active Directory server from Samba running on FreeBSD, free server software on a free operating system. We have set up the needed DNS infrastructure on an existing BIND master (or primary) DNS server. Our next step is to put together a system that we will make a slave (or secondary) DNS server, an initial step in building a Samba-based Active Directory server. 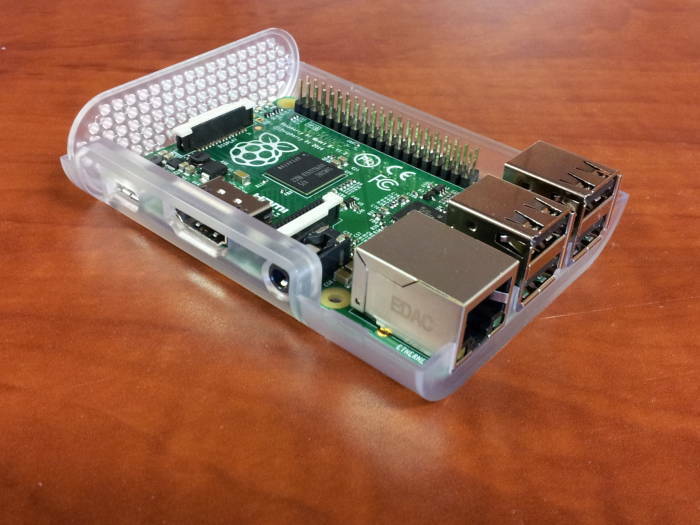 We will do this with FreeBSD running on a Raspberry Pi. We must take a few extra steps in this stage because of Samba's requirements for file system security. That requirement for POSIX Access Control Lists along with this admittedly uncommon combination of operating system and hardware means that I will have to modify a file system. Jump back to the start for an overview of the project. 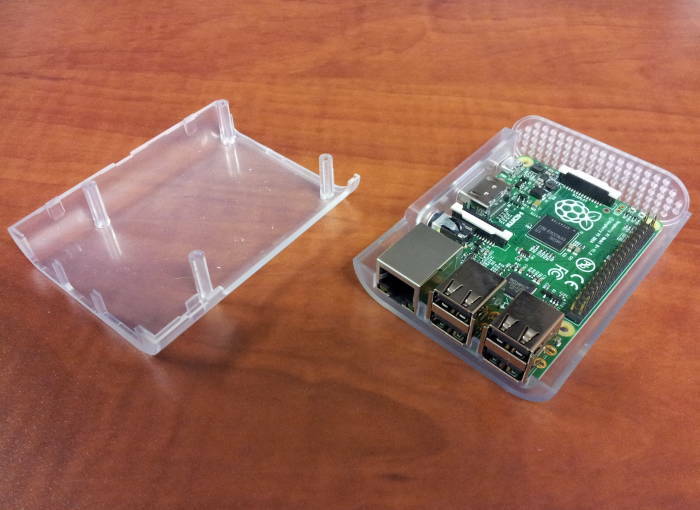 I initially used a Raspberry Pi 1 Model B+ for this project. It has a Broadcom BCM2835 SoC or System on Chip, which includes a 700 MHz ARM1176JZF-S processor, 512 MB of RAM, and a VideoCore IV GPU. The CPU performance is about like a 300 MHz Pentium II of 1997-1999, so bear in mind that this is just for initial testing and experimentation. Do not try to run your enterprise on a Raspberry Pi Model B+. Both the Raspberry Pi 1 B+ and the model 3 have 4 USB 2.0 ports, a 100 Mbps Ethernet port, and HDMI video and audio output. You power it from something like a smart phone charger, ideally one that provides more current than the usual 1000 mA. I later moved the project to a 4-core Raspberry Pi 3. That provides more CPU cores for all the server processes. A single-core Raspberry Pi Model B+. You can download FreeBSD images from raspbsd.org or from freebsd.org. There is also a page about FreeBSD on the Raspberry Pi at FreeBSD.org, although that page seems to be updated much less frequently. and see what just appeared after you plug in the microSD card. I downloaded the image, uncompressed it, and wrote it onto a memory card with dd. Be very careful to select the correct device! I ran df first, and if I were using LVM I would have run pvscan, all of that to inventory all the disks holding my data. Then get a listing of all device files /dev/sd*. Now plug in the USB device with the SD memory card and see what was added. As I have several disks in my system, /dev/sda through sdf, I saw that the two new devices were sdg and sdg1. This is because the card has an IBM MBR partition table defining one partition spanning the device, and a VFAT file system in that partition. Write the image onto the entire device, being careful to choose the correct target location. Change "sdX" as appropriate in the following. I used sdg but don't destroy your data by overwriting the wrong device. I connected an Ethernet cable and the power supply, and waited for it to boot up. I saw it get an IP address from my DHCP server. I connected in over SSH as user raspberry with password raspberry for the image from raspbsd.org. From there I could run su to become root without a password. Here's the resulting file system. It resizes the root partition to fill the device at first boot. My "disk" is a 32 GB microSD card. I created a user account for myself with the same UID/GID as on my other systems, and copied .vimrc, .cshrc, and .ssh/ into place. I also added myself to the wheel group. My main Linux system has one interface on the interior network, with hostname router resolving to both IPv4 and IPv6 addresses. It runs the RADVD IPv6 Router Advertisement Daemon, and forwards both IPv4 and IPv6 to and from the Internet on another interface connected to a cable modem. It advertises a fc00::/7 prefix internally as per RFC 4193. I replaced those lines with the following to customize the hostname and networking. The syslogd daemon on FreeBSD does not include its hostname in the message. Its message is simply the timestamp, daemon[PID], and then the message. Compare that to other syslog daemons that insert the hostname after the timestamp. If there is no hostname or IP address in the message, the log collector will insert the IP address of the source. If the log collector is using Rsyslog, add a new file to get it to resolve that to a name. It can be named anything as long as it ends ".conf". Also recall that we configured the NTP daemon to run. Kerberos requires time synchronization. That added the nonfsv4acls option to the kernel environment, but it did not have the desired effect. The problem is that the root file system in the Raspberry Pi image is set to always use the nfsv4acls option for NFSv4 ACLs. If NFSv4 ACLs are in use, POSIX ACLs cannot be enabled. As explained on the FreeBSD Access Control Lists, page, the mount-time flag can be set in a persistent manner by modifying a flag in the superblock, the file system header. If a flag is set there, it will be used. It cannot be modified without unmounting the file system, and you cannot unmount the root file system. As that page explains, for security you want to mark the file system itself, precisely for the reason that I was unable to proceed — an intruder who gains root access cannot disable ACL protection. ACLs that are enforced within the superblock can prevent a user with otherwise unlimited power from modifying protected components of the file system. I agree with the logic. This is analogous to the reason why in Linux you should not be able to disable the Security-Enhanced Linux protection while the kernel is running. You should be forced to reboot the system and disable it at boot time, requiring physical access to the console. Notice that Red Hat chooses to build their kernels to allow it to be changed during run time, decreasing security but making it easy to help their customers solve problems. The kernel build configuration variable is SECURITY_SELINUX_DISABLE, "y" means that it can be disabled while running. In the kernel build configuration interface: Security Options → NSA SELinux Support → NSA SELinux runtime disable. Samba requires POSIX ACLs for part of its database, maintained under /var/db/samba4. It uses the ACLs for the part under /var/db/samba4/sysvol. There is no other persistent file system (/var/log, /var/tmp, and /tmp are based on RAM, the md pseudodevice. So, the root file system itself has to be modified, and tunefs is the tool for the job. On typical server hardware I could reboot and request a boot to single-user or maintenance mode. Or, I could boot from media. But neither is possible here. I plugged in an HDMI cable to the TV, plugged in a USB keyboard, and rebooted. The problem was that the early boot environment doesn't see a USB keyboard. So, I couldn't send any key to stop the automated boot and ask for a boot into single-user mode. I manually shut down the network services, using lsof -i to see what remained. Then I manually unmounted the /boot/msdos, /var/log, /var/tmp, and /tmp file systems. Then I manually terminated all the processes I could. The getty processes respawn. The soft updates mechanism drastically improves file system performance. It buffers metadata updates through a memory cache. Details are available at the FreeBSD disk tuning page. I ran out of space on /tmp while doing the initial package updating, so I umounted it for a while and let it use the root partition. At the end there wasn't anything left in /tmp so there was no need to clean up before remounting it. I later ran out of space again when doing a pkg search, so I commented out the line in /etc/fstab defining /tmp. 29 MB of space in /tmp just isn't enough! It's a RAM-based "memory device", faster but limited in size. I could make it larger, but RAM is already limited on this platform. OK, so the package with BIND is called "bind" and not "named". I initially installed BIND 9.11 (bind911) and Samba 4.3 (samba43), went through everything that follows, and only then found that Samba 4.3 only supports BIND 9.10. Samba uses dynamically loadable zones (or DLZ), which can be accessed through the AD schema. We must have a compatible combination of BIND and Samba. Here's the information from Samba's page on the BIND 9 DLZ DNS back end. The process will require 404 MiB more space. 68 MiB to be downloaded. The OpenLDAP client package has been successfully installed. to change the system-wide client defaults. The key for BIND was automatically generated the first time it started. The key is stored in /usr/local/etc/namedb/rncd.key. You use it if you control BIND with the program rndc, but you will probably use the script /usr/local/etc/rc.d/named. Run it with no argument to see your choices, the parameters start, stop, restart, reload, and status cover most needs. I also added lsof and vim. The next step is to turn the new FreeBSD system into a slave DNS server. Raspberry Pi running FreeBSD with BIND and Samba software installed.